For my second blast from the past, I present another amazing power pop band to come out of the Chicago area in the 70s - Shoes. While the aforementioned Pezband combined catchy hooks and melodies with a somewhat raw sound, Shoes represented the smoother side of the genre, creating song after song full of jangling guitars, 60s pop harmonies and airy vocals. Shoes formed in Zion in 1974, and consisted of brothers Jeff Murphy and John Murphy, Gary Klebe and Skip Meyer. Both brothers and Klebe contributed songs and lead vocals. 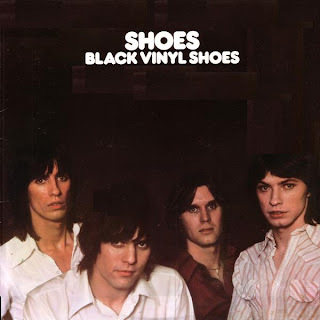 The band's first significant release was the home-recorded demo album Black Vinyl Shoes from 1977. 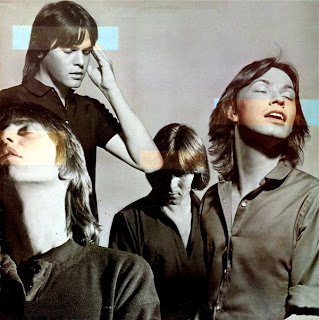 It definitely doesn't sound like a home-recorded demo album, and with absolute pop gems such as Boys Don't Lie and Okay, is regarded by many as one of the finest power pop records of all time. Shoes went on to record a handful of other albums, including Present Tense (1979), Tongue Twister (1980), Boomerang (1982), Silhouette (1984), Stolen Wishes (1989) and Propeller (1994). Their biggest hits - Too Late and Tomorrow Night - came from Present Tense, and are now considered power pop standards. The band also formed their own label called Black Vinyl Records based in their hometown of Zion. Most recently, Jeff Murphy has released a solo CD titled Cantilever and has also penned a book that documents the formation and early years of Shoes. Both are available through the Black Vinyl Records Web site. On August 10, 2007 Shoes played a gig at Millennium Park, marking their first Chicago performance in over four years. All Shoes releases are available through Black Vinyl Records and CD Baby.